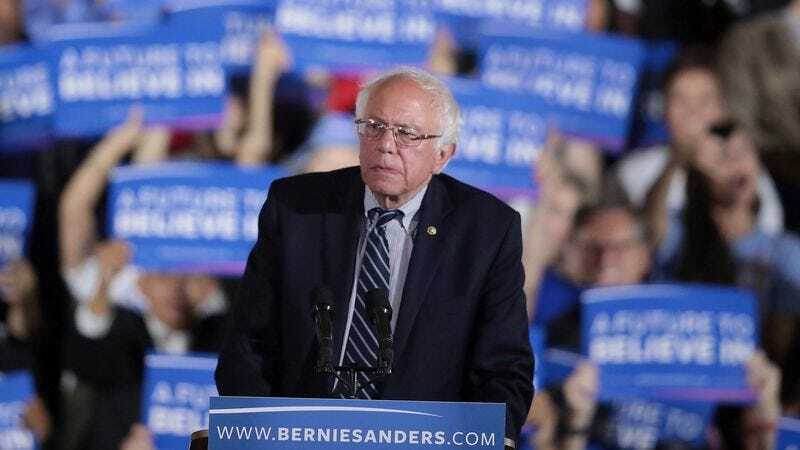 PORTSMOUTH, NH—With Bernie Sanders effectively conceding the race for the Democratic presidential nomination just two weeks before his party’s national convention, the American populace expressed their collective astonishment Tuesday that it had taken so long for the primary election process to weed out a candidate with genuine principles. “Wow, usually people who have passionate, heartfelt beliefs that they’re unwilling to compromise are the first to go, but Bernie held on through every state,” said 37-year-old Arizona resident Randall Strong, marveling aloud as he tried and failed to recall the last time a candidate with an earnest and enduring commitment to a set of deeply held values even made it to Super Tuesday. “I’m genuinely amazed. Most of the time, people who believe in what they say are out after Iowa or New Hampshire, if they even make it onto the national stage in the first place. How he ran on a platform of strong, unwavering convictions aimed at improving the lives of average Americans is completely beyond me.” The American public admitted they would not be surprised at all, however, by how short a time it would take for them to completely forget about the honest principles championed by Sanders.